With no new coal fired power plants constructed in the USA since the hysteria over global warming started, the only competition for oil was wind power and the price of a barrel of oil skyrocketed to $147/bbl until the economic collapse sent the price down to $34/bbl. The net effect of this is that China was powering its economy at less than 2cents/kWh while the USA was attempting to compete with power costs at least five times greater because of global warming advocacy. Add to this the high cost of oil that caused a doubling of transportation costs in two years, and with the financial institutions and investment houses operating without any fiscal constraints on either mortgages or market speculations; you have all the makings for economic collapse. Perhaps the most insidious aspect of “global warming advocacy energy initiatives” is biofuels, and the effect that this had on food prices that were already high because of the increased transportation costs. With high oil prices, crops that produced the feedstock for biofuels became highly lucrative especially when government incentives were given. Biofuel crops were now unfairly competing with basic food staple crops, doubling the cost of food and quite literally starving the poor who can no longer afford these basic food staples. Simply put, the economy is primarily controlled by the financial institutions and the markets, but it is powered by energy, and unless energy is bailed out, the trillion dollar bailouts of the economy will not succeed in reversing the economic decline. Unlike the financial bailouts, there is no cost to the taxpayer to bail out energy; but there is a great political cost that none of the leaders seem to be willing to pay. 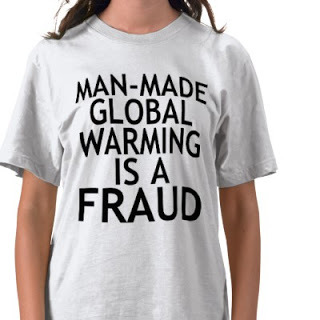 All that has to be done is to demand that the IPCC make public the facts that there has been no global warming for over a decade, that the world has been cooling since 2002, and all this has occurred while CO2 emissions continue to rise demonstrating that there is no possible causal relationship between CO2 emissions and global temperature. For good measure the leaders can also demand that the IPCC “come clean” and admit there never actually was any evidence that supported the AGW hypothesis, and that all their publications were designed to convince the world of a non existent impending danger for the sole purpose of supporting their misguided political agenda. This is all that remains to be done to fix the economy of the USA, which will fix the rest of the world’s economies that are ultimately affected by the state of the US economy. Unfortunately politicians have, by political necessity, committed their political futures to pursuing the initiatives of the IPCC, and in order not to jeopardize their positions, they are willing to spend taxpayers money on financial bailouts, but are afraid and unwilling to confront the IPCC even though it won’t cost the taxpayer anything and will help the lower income citizens who have been most seriously affected by this crumbling economy. The false statements of the IPCC are the only rational for the entire vilification of CO2, so if the IPCC is forced to admit that there is no physical basis for reducing CO2, all of the ridiculous and costly CO2 initiatives can stop being subsidized, and this money put into clean coal (in the true sense of the word and not the environmentalist’s bastardized version) and nuclear power developments that will reduce the cost of power and give industry a fighting chance. The economy cannot support the wildly fluctuating oil price of the last two years and there is also a simple way around this problem if the IPCC is relegated to oblivion. In the past year, the USA consumed 19.485million barrels of oil per day (mmbbls/d) but produced only 8.508mmbbls/d; importing the deficit of 10.977mmbbls/d at rates that jumped between $147/bbl down to $34/bbl. Even as the economy deteriorates, the oil price is rising from the low of $34/bbl to over $52/bbl today, because the OPEC oil cartel is cutting back production to raise the price. This $18/bbl increase in the price of oil equates to an additional $4.6billion leaving the economy each month, because an outside cartel is controlling the price. The economies of Canada and Mexico are so intertwined with that of the USA that the portion of this money that comes from Canadian and Mexican oil imports, stays within the North American economy. Collectively North America consumed 23.975million barrels of oil per day, but produced 15.058million barrels of oil per day. This leaves a deficit of 8.917mmbbls/d. There is enough potential production in the Canadian Oil Sands, the Bakkan formation, and “oil from coal” production, coupled with intelligent use of oil (i.e. conservation) to completely remove this deficit; but none of these oil producing initiatives can be undertaken unless there is a long term stable oil price of around $60/bbl. All that the USA has to do is to set a fixed North American Oil price of $60/bbl that is guaranteed for the long term future. This is the only way that the heavy capital investment for these projects can be undertaken. There is enough oil in these three reserves to keep North America oil independent for at least the next century by which time someone will have figured out how to harness energy from nuclear fusion making oil irrelevant as an energy source. As well, this initiative does not cost the taxpayer anything; but it goes against the dictates of the environmentalists because these resources produce CO2, and even though there is no actual increase in fossil fuel usage, facilities such as the Canadian Oil Sands have already been made environmental targets and the politicians are unwilling to risk political futures upsetting environmentalists if they undertake these common sense energy initiatives. It is not a coincidence that when the Chinese overtook the USA in CO2 emissions in 2006, that the economy of China also increased dramatically while the US economy was starting to stagnate because of the limited and costly energy supply. Renewables are listed as “wood, black liquor, other wood waste, municipal solid waste, landfill gas, sludge waste, agricultural by products, other biomass, geothermal, solar thermal, photovoltaic, and wind” and collectively these produced 2.21% of the US electrical power in 1997. (The year Kyoto was signed) Coal produced 52.83% of the electricity in 1997. After all the rhetoric and cost and ten years of no global warming, by 2008 these renewables were increased to supplying 2.74% of the power; coal was reduced to supplying 48.61% of the power, and the difference was made up with natural gas which also is a fossil fuel and produces CO2. In the last decade the cost of power went up and the emissions increased by 24%, and now instead of getting rid of this environmentalist blight on the economy, the government now wants to tax the poor even further with carbon taxes and cripple the economy by replacing cheap energy with energy that costs five times as much; all because they are more afraid of the environmentalists than the economic collapse that this will cause. How many more years of global cooling with increased CO2 emissions will it take before common sense kicks in and the false doctrine of the IPCC is exposed? Tomorrow would not be soon enough!! They should impose import taxes on every piece of steel, every bit of plastic coming out of China, according to the pollutants and amount of (non pollutant) CO2 the Chinese emitted in the process of producing it, including electricity use, diesel trucks, energy use of container ships, trains, private energy use of the workers in Chinese factories and on and on. But watch, they won't do that! Because the real plan is to destroy the U.S., to reduce the U.S. to a deindustrialised banana republic that does nothing but consume and is fully dependent on other nations for the import of goods and even food (remember cows cause methane and exhale CO2, and so do tractors plowing fields that grow vegetables, so for you Veggies out there, sorry you're not carbon neutral either unless you plant your own garden and stop breathing!!! ).